What is Right? It's Right in Front of You! Day 20. 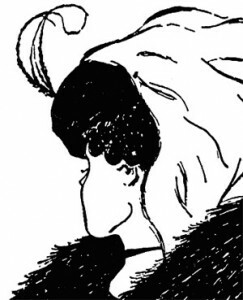 What do you see in the picture above? A beautiful woman or an old hag? They are BOTH there...you just have to look at it differently. There is one way to be right, and it is a wonderful way to be. If you look for what is already going right, and break the habit of scanning for what is going wrong, you will find unexpected pockets of joy in your day---yes---joy. This will happen so frequently that you will wonder what in the WORLD you were doing wrong (uh, uh...no more of that) all the other years. Seeing what's right. It's a matter of stopping the analyzing and the error-finding (in situations and others) and seeing what IS working, and how right most of your life is going. Look for what you can be thankful for, and stop looking at what isn't going well. This can include people in your life as well. Stop looking at their faults and weirdness (not to get too technical on ya) and see what they bring to the party; what is right about them instead. See what IS RIGHT in your life and stop trying to BE RIGHT about your opinions, choices, etc. (and forcing this on others). Return from "What is Right" and back to 30-Day Challenge?